The Short Shorts Film Festival is one of the largest international film festivals in Asia. The festival was founded in Japan back in 1999. Since then, it has grown exponentially and has even become a qualifying film festival for the annual Academy Awards. It is now widely regarded as a very important film event on the continent. The festival features a variety of short films of different genres from local and foreign filmmakers. The goal of the festival is to help promote short films so they can gain distribution and be seen by a wider audience. Each year, the festival does its best to help the roughly 5,000 film submissions find distribution. Throughout the event, the organizers showcase a series of creative seminars, workshops, and other activities to the attendees. These are aimed at helping short filmmakers gain vital insight into both the creative and business side of the industry. This year, the Short Shorts Film Festival celebrates its 20th anniversary. To celebrate this event, the organizers are proud to present two new competitions for the event. The Virtual Reality (VR) Shorts competition will be introduced this year to showcase VR short films from all over the world through state-of-the-art video technology. This promises to be a fascinating event and one of the world’s first for a short film festival. The Student Film Competition, supported by FELLOWS, will begin this year to help encourage students to hone their skills in filmmaking. The theme for this year is “Cinema Smart”, which endeavors to share the importance that cinema brings to the world. The crowd can also expect to see the 3rd Generation J Soul Brothers, a famous local dance, and vocal group, who will act as the Festival Navigator. The festival has also announced that it has received over 10,000 short film submissions from 130 countries this year. Though most won’t sadly qualify for the festival’s Grand Prix (Best Short) competition that will give them the chance to be nominated in one of the short film categories of the Academy Awards next year, the sheer number of submissions shows how healthy the international short film industry has now become. The festival was founded by Tetsuya Bessho. His list of credentials includes being a Japanese native, a famous actor, a Screen Actors Guild (SAG) member, and a short film enthusiast. His aim when starting the festival was to contribute to the short film industry by introducing a wider Japanese audience to these films. The festival made its debut in the Harajuku neighborhood of Tokyo, which remains the venue up until this day. During the inaugural festival in 1999, six short films from the famous Hollywood director George Lucas were screened. These were the short films he directed when he was still an aspiring filmmaker and student. Because of this honor, George Lucas has provided his support to the festival every year since. The event was officially renamed the Short Shorts Film Festival in 2001. The festival has gained enormous international popularity including from international film institutions and organizations. In 2004, it was recognized as a qualifying festival for the prestigious, annual Academy Awards or Oscars. In the same year, the Short Shorts Film Festival Asia was founded with the support of the Tokyo Metropolitan government. Its goal is to reward innovative filmmakers for helping to develop a diverse modern Asian movie culture. In 2008, the festival helped establish the Brillia Short Shorts Theater in the Minatomirai area of Yokohama, Japan. This has become one of the festival’s main venues, as it can house a massive 200,000 people. To this day, the festival continues to expand its program and workshop activities in Japan to fulfill its original aim of promoting short films in Japan. 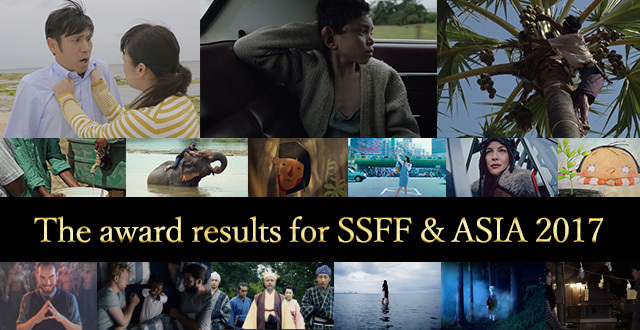 The Short Shorts Film Festival has 3 main categories for the official Best Short Award competition: International, Asia International, and Japan. The prestigious Grand Prix will be awarded to one of the winners of these 3 competitions. The Grand Prix is the highest award that the festival gives out, so competition is fierce. The following is a list of the other competitions featured in the festival and the respective awards that can be won per competition. Save the Earth! Competition- This category is for short films with environmental themes and issues. CG Animation Competition- This category showcases the best high-quality animated short films from all over the world in partnership with Digital Hollywood, a top university for information technology and digital content. Cinematic Tokyo Competition- This category screens the best short films with Tokyo as the subject—including its famous locations, impressions, memories, etc. Music Video Competition- This category features music video submissions with theatrical effect and dramatic narratives. > Award: Best Music Video Award. Monetary cash prize not specified. Branded Shorts- This competition consists of branded short movies for marketing, advertisements and customer/consumer engagement. > Award: Branded Short of the Year. Monetary cash prize not specified. Other categories and awards exclusive for Japanese films only are the Book Shorts Award, Visual Tourism Award, Ibaraki Short Film Award and Kawagoe City Short Film Award. For all you short film creators out there who would like to submit their films to Short Shorts Film Festival, you can send your entries through Shortfilmdepot, Withoutabox, or FilmFreeway. The call for entries for the 2018 Festival is already closed. If you have missed the deadline, the submission for next year’s short film entries will open in August 2018 for all competitions. So, stay tuned. For information regarding submission periods, fees, instructions, film eligibility and criteria, and other related information, you can visit the festival’s official website at www.shortshorts.org/2018/index-en.php. The Short Shorts Film Festival & Asia will run from June 4 to June 25, 2018. Admission is free.